A report by NBC claims the Mossad is backing an Iranian terror group in an assassination campaign against Iranian nuclear assets. US officials say deadly attacks on Iranian nuclear scientists are being carried out by an Iranian dissident armed, funded and trained by the Mossad, an NBC report claims. It is widely believed the The People’s Mujahedin of Iran (MEK) has killed five Iranian nuclear scientists since 2007, and may have destroyed a missile research and development site. The attacks have been conducted in a dramatic fashion,with motorcycle-borne assailants often attaching small magnetic bombs to the exterior of the victims’ cars. US officials who spoke to NBC anonymously said the Obama administration is aware of the assassination campaign but has no direct involvement. Mohammad Javad Larijani, a senior aide to Iran's supreme leader Ayatollah Ali Khamenei, told NBC that the Mossad and MEK have a close working relationship. Larijani also claimed claimed the Mossad is training MEK members in Israel on the use of motorcycles and small bombs, and has built mock-ups of facilities to attack for training purposes. “This is an Israeli plot. 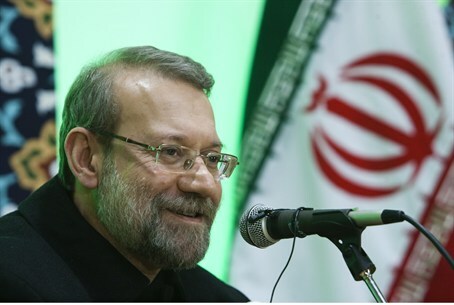 A dirty plot,” Larijani added angrily. Senior Israeli officials have refused to comment on the matter following the established tradition in Jerusalem of not discussing intelligence matters. A foreign ministry spokesman, however, dismissed the report as "gossip." "As long as we can't see all the evidence being claimed by NBC, the Foreign Ministry won't react to every gossip and report being published worldwide," the spokeperson said of the report. The MEK, accused of killing American servicemen and contractors in the 1970s and supporting the takeover of the US Embassy in Tehran, but was not designated as a terror goup until 1997. But in 1980 broke with the mullahs and turned its ire away from the US to the newly established Islamic regime in Iran. A wide, bipartisan group of former cabinet members and Washington insiders feel the MEK never should have been designated as a terror group. Nor are all American's convinced targeting Iranian nuclear scientists is a bad thing.